When I first came to Spain, I was excited to be living in a country where wine flowed like blood through a vast cultural landscape. I also assumed that Spaniards, with wine embedded in their DNA, would be vinous explorers seeking out their next prized bottle. 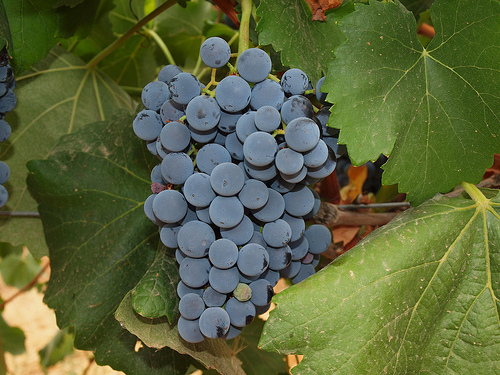 Wine producing countries like “Spain” consider wine a beverage. Now there are some wine geeks in Spain who have escaped the rote memorization that Rioja=Good and Not Rioja=Bad, permitting themselves to explore outside the box. But even in the ranks of wine “afficianados” there is often a malaise that infects their palates and leads to a lack of discovery and curiosity. Let’s see if I can better lay out the difference between an old wine producing country and a new one. Here in Spain, people make dinner and then ask, “Where’s the wine?”; whereas in the USA and other New World wine producing countries, the conversation starts with buying a bottle of wine and then asking, “What recipe should go with this?” Hence, wine in the New World is something special, and should therefore be explored; while in the Old World, it’s an afterthought. Last weekend, I was in the neighboring town of Sabadell for the Fira de Sabadell, an annual wine fair that shows a healthy mix of professional networking and a neighborhood party. About 40 or stands filled a small exhibition hall with wines from around Spain along with assorted cured meat producers. As I am currently sans wife, also known as “de Rodriquez”, I chose to wander over to not only brush up on my crap Spanish, but also catch up with some old friends. Our old friend, Juan Manuel was my first target, showing off a long portfolio of wines including the Quicu Fargas Reserva 2001. Made of Cabernet Sauvignon from the Pla de Bages wine region, located not 10k from Catavino HQ, it was stellar Bordeaux-esque wine (far from a Spanish style) with amazing structure and at minimum, 10 years of life still ahead. So, let’s veer back to my original point, which highlights the lack of curiosity in the Spanish wine consuming landscape. Currently, wine consumption has decreased considerably in Spain with no foreseeable uptick in the near future; however, there were 2 wines I tasted that should easy sell in a true “blind wine” situation that are sadly laying by the wayside. First up, a sparkling Monstrell from Yecla, red in color and full of flavor. Produced by La Pamelita, the winery is driven by a powerhouse of woman, Pamela, with a true passion for wine and the curator of a kickass Garnacha from Calatayud, which sadly languishes, overlooked in this Catalan wine landscape. Granted, we’re in Cava country, but it’s sad to hear Pamela, the winemaker, lament on how no one buys the wine after gushing about its quality. Here in Catalunya, if not all of Spain, if it sparkles, it must be white and dry. Bullocks! The cats are safe from the evils of curiosity in this neck of the woods. The next wine(s) I want to highlight was ironically not from Spain at all, but rather Bulgaria. I have known of Nedko Nedev for approximately 2 years or so, a Bulgarian gentleman living in Barcelona trying diligently to sell Bulgarian wine. When I first heard his story, I laughed out loud, imagining decent wines that would never be sold in Spain with its predominate Rioja-itis. Having finally tasted a few of his wines at the Sabadell Fair, all priced below 13 euros, I was astounded at their incredible quality. I asked him how it was going at the fair, to which he replied, “Slow, people don’t want to taste Bulgarian wines.” I guess I understand. If you are a restaurant in Barcelona, you most likely want to offer wines that are from the rich wine landscape you inhabit, but not to taste them for free at a wine show for interest sake is silly! Where is your curiosity?! As I’m a tried and true explorer, I tasted several new Bulgarian grapes such as Mavrud, Rubin, Melnik and a sweet raspberry wine that was seriously delicious. With this last treat, I quickly snapped into marketing mode and suggested that if people don’t want to hear “Bulgaria” when they buy wine, why not find a nice cava to pair this nectar with and offer up holiday cocktails. Looking at me like I was crazy I rushed off and grabbed a glass of Cava, and quickly did some on the fly mixology to create the Bulgarian/Catalan Royale, a drink which I then offered up to passers-by who all smiled at first sip. Personally I think this one is going to be my holiday treat! The point I wanted to make is simple, in Spain, it’s hard to “explore” wine. Wine is a given here, and sadly as of late, it has been taken for granted a bit too much. With grape prices down, and ample stocks in wineries without eager consumers, something needs to change. 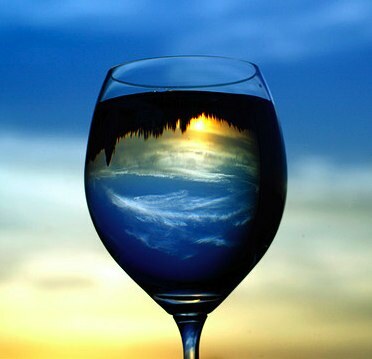 For now however, I think a look at the bigger world of wine might be a good place to start. All that said, I will say, I can’t complain about the local selections…they do taste damn fine!